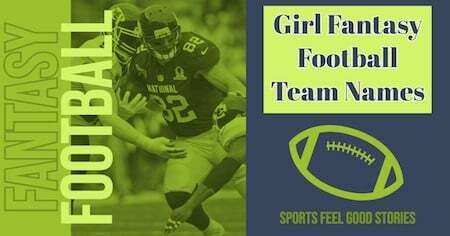 You’re on Girl Fantasy Football Team Names – page 6 of 30 of Fantasy Football Team Names and League Names. See the complete menu at bottom of page. 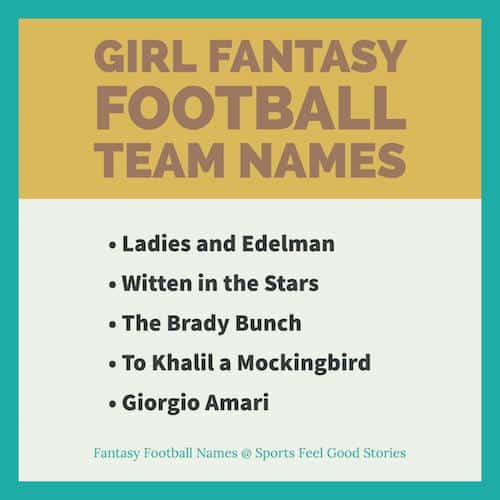 This selection of fantasy football team names was selected with the smarter gender in mind. Click on visual above for Hot Takes on the season. You’re on girl fantasy football team names.